Quintessential and luxury Florida living awaits you at Auberge Beach Residences in Fort Lauderdale – The Venice of America. Meticulously planned by visionaries, Auberge is a slice of tropical paradise. 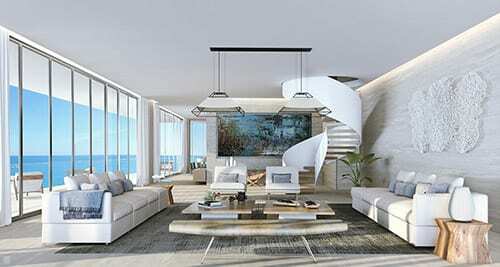 It is nestled on over 400 linear feet of beautiful beachfront in Fort Lauderdale and features classic architecture by Nichols Brosch Wurst Wolfe & Associates. Auberge is comprised of two jaw-dropping modern buildings – The North and South Residences. Rent a condo long term for a piece of paradise or purchase a condo for your own slice of paradise. 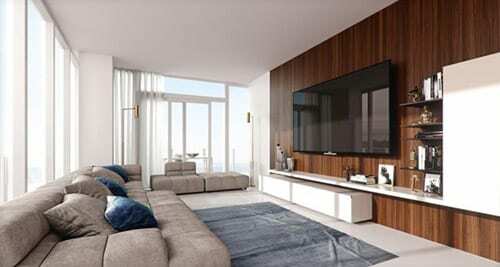 Choose from 20 floors of Intracoastal, beachfront and city skyline views. It doesn’t get any better than that. Auberge is the best of the best in Florida living. 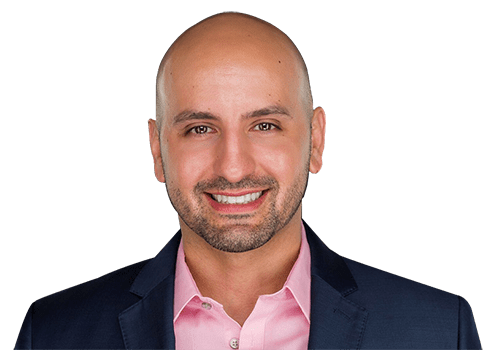 Condos For Sale……….Condos For Rent…….. Up to Date Listings ……..
Each well-appointed building is designed with breakaway walls and waterproof foundations. Experience the best in living in lux one to five-bedroom condos with a chef-inspired kitchen, expansive balcony views overlooking the water. Auberge is chockful of amenities, such as multiple pools with cabanas, world-class dining, state-of-the-art fitness center, Napa Valley Wine Room and a signature cigar lounge. Select Auberge condos even have oversized terraces with a private pool. Throughout the grounds, the landscaping is lush and a Grand Porte Cochere serves up water features that showcase the buildings’ architecture. Take a look at the exquisite condos at Auberge. 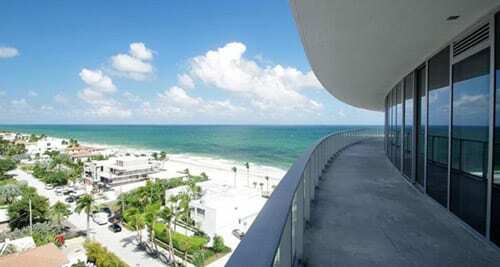 One unit offers 3 bedrooms, 3.5 full bathrooms with ocean views. This jewel features Italian cabinetry, gas cooktop, Sub-Zero Wolf appliances, smart home technology and floor to ceiling windows. Opportunities to live at Auberge Residences are dwindling fast – don’t let this opportunity slip away. Choose the latest condos with up to 7,000 square feet and five bedrooms. 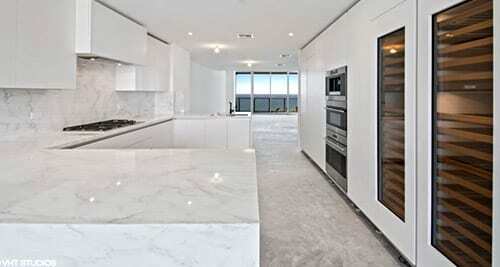 The penthouses offer panoramic vistas of the ocean, Intracoastal and city.